I love squash soups in the Fall and Winter. Galangal is something I am not familiar with ... is it the same as ginger, which I can get here easily. Thanks. Thats a very nice soup and a good post by Deesha..
Nice and yummy soup!!! yeah it will perfect for the weather in Bangalore now!! Lovely guest post. 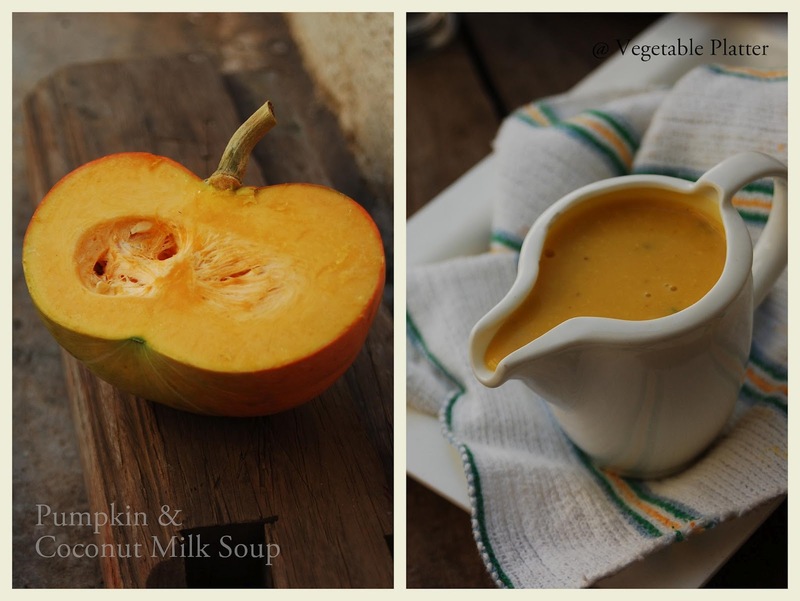 Pumpkin soup looks colorful and yummy. I dont bother to have this fantastic soup tonite for my dinner, excellent guest post.